From rugged coastlines to tall peaks … from sweeping sand dunes to dense rainforests … the island of Tasmania in Australia boasts something for every explorer. Over 40% of the island is protected as national or state parkland. If you are planning to get a 4WD campervan rental, you are in great shape, because a lot of these wilderness areas can really only be explored on rough backcountry roads. Here are a few of Tasmania’s most exciting national park destinations. Days of fun and adventure are waiting! This is without a doubt the most iconic park in Tasmania. Here the rugged peak of Cradle Mountain soars over the tranquil mirror of Dove Lake below. Climb to the top of the mountain or take a two-hour hike around the lake’s perimeter, exploring the lush old-growth rainforest. Be on the lookout for Tasmanian devils, platypus, echidna, and quolls. 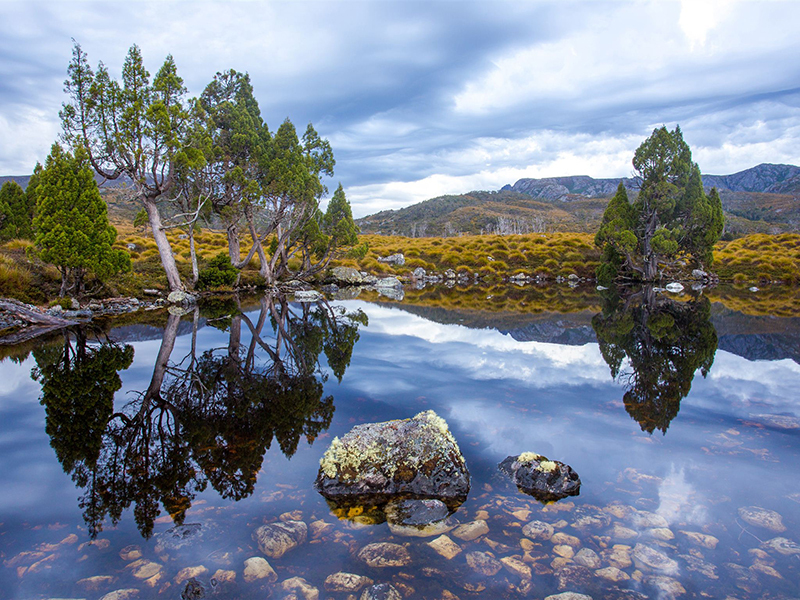 If you are up for a lengthy hike, the six-day Overland Track is a world-class trek into a mountain wilderness which culminates at Lake St. Clair, the deepest lake in Australia. If you are visiting in the spring or summer months, you will behold a spectacular display of wildflowers here, including orchids, leatherwoods, hakeas, and waratahs. 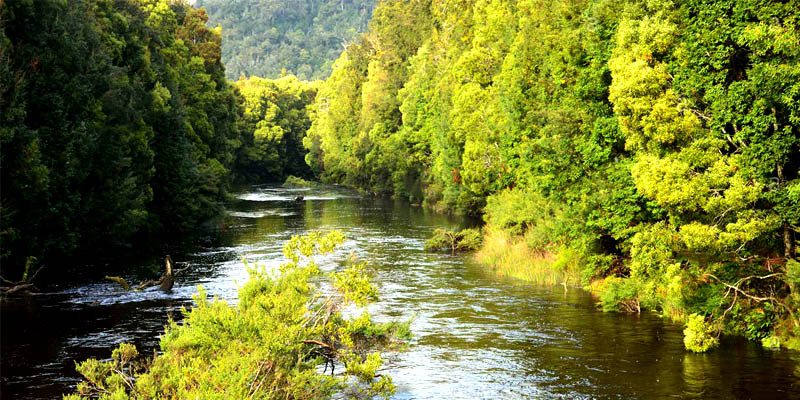 This is the largest national park in Tasmania, spanning 600,000 hectares of rugged mountain ranges, old-growth rainforest and button grass plains. While much of the park is extremely remote, a 4WD campervan can penetrate deep into the wilderness. 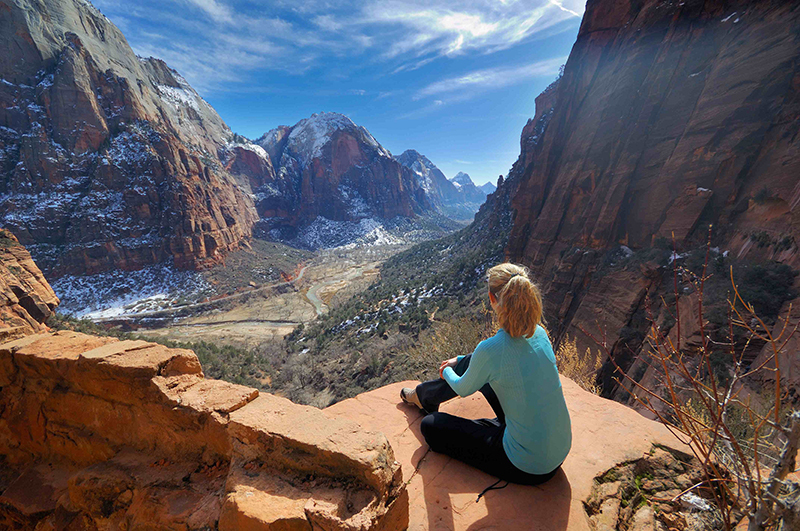 The most breathtaking scenery anywhere on the planet can be found here. 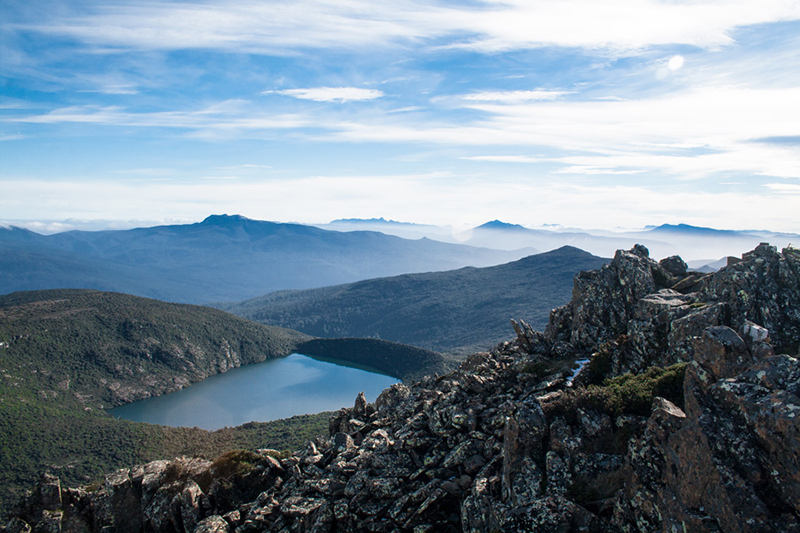 Hartz Mountains National Park is one of the oldest bushwalking destinations in Tasmania, popularised clear back in the 1840s when the Geeves family founded the nearby township of Geeveston. Numerous short hikes weave through the eucalypt forest, taking you to waterfalls, glacial lakes, and panoramic lookouts. If you really want to venture off the beaten track, the Savage River Regional Reserve makes for an exciting trek into one of the only temperate wilderness areas left on the entire planet. While most Tasmanian national parks have roads for 2WD vehicles and facilities and amenities for campers, Savage River Regional Reserve does not. The only way to access this unique conservation zone is through a set of rough 4WD tracks. There are no camping facilities in the reserve, but there are a number of State Forest Reserves to the north which provide more in the way of roads and amenities. As you can see, Tasmania showcases incredible geological and biological diversity. Because so much of the parkland is remote, it is really only accessible in full to the traveller who rents a 4WD campervan and is willing to venture away from the main roads. Spend some extra time planning your itinerary and researching remote tracks, and you will be ready to embark on an unforgettable journey through a far-flung land of unparalleled beauty.